Porsche is upgrading the Cayenne six-cylinder models through a special series known as the Platinum Edition. The Cayenne and Cayenne Diesel Platinum Edition come with unique exterior design features in Platinum Silver and a wider range of standard equipment. equipment range available for the new models is especially designed to increase comfort and safety. 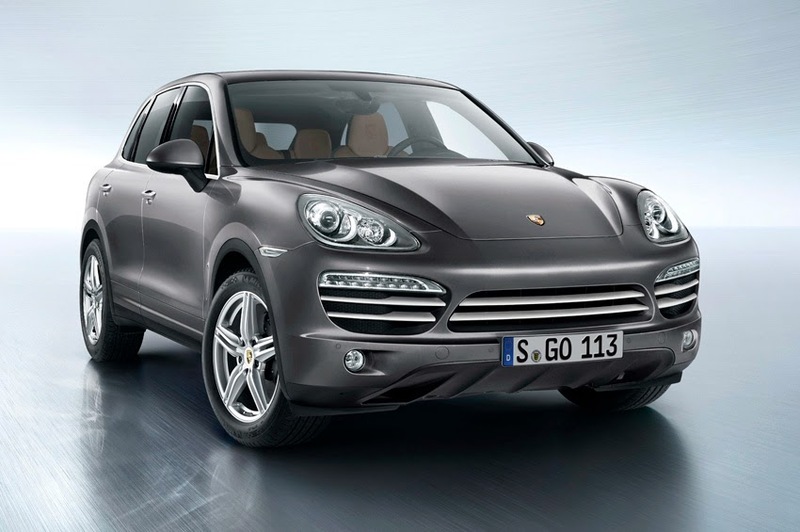 The Cayenne Platinum Edition models feature standard Tiptronic S transmission, Bi-Xenon headlights, Power Steering Plus, Park Assist (front and rear), as well as privacy glasing in the rear. Painted in Platinum Silver Metallic, the air intake slats on the front apron, the side window surrounds, the rear spoiler lip and the rear bumper trim strip emphasise the sporty shape of the car and add an elegant note. Available paint finishes are Black and White, as well as optional Meteor Grey Metallic, Basalt Black Metallic, and Mahogany Metallic. The Carrara White Metallic paint finish is also an option available, exclusively for this Cayenne edition. The exterior is rounded off by the 19-inch Cayenne Design II wheels with coloured crest. To make the interior of the Cayenne Platinum Edition even more special, it is available with an exclusive two-tone partial-leather interior in Black and Luxor Beige, as well as door-sill guards with 'Platinum Edition' logo as standard. The SportDesign steering wheel with shift paddles and the Porsche crest embossed on the head restraints of the front and outer rear seats emphasise the exclusiveness of the vehicle. All special edition models come with the Porsche Communication Management (PCM), including a navigation module. The PCM features a high-resolution seven-inch touchscreen and a sound system with 11 loudspeakers and total power of 235 watt. The Cayenne Platinum Edition offers an output of 300 hp with an average fuel consumption is 9.9 litres/100 km (236 g/km CO2). Featuring a three-litre V6 engine, the Cayenne Diesel Platinum Edition offers an output of 245 hp and a consumption level of 7.2 litres over 100 kilometres (189 g/km CO2). The new models are available for order as of now, with first units being delivered in February of 2014. Basic retail prices will be announced soon.